Note: The 1032_0B is identical to the 1032_0, except that you have the option of whether you want to include the USB and LED cables. 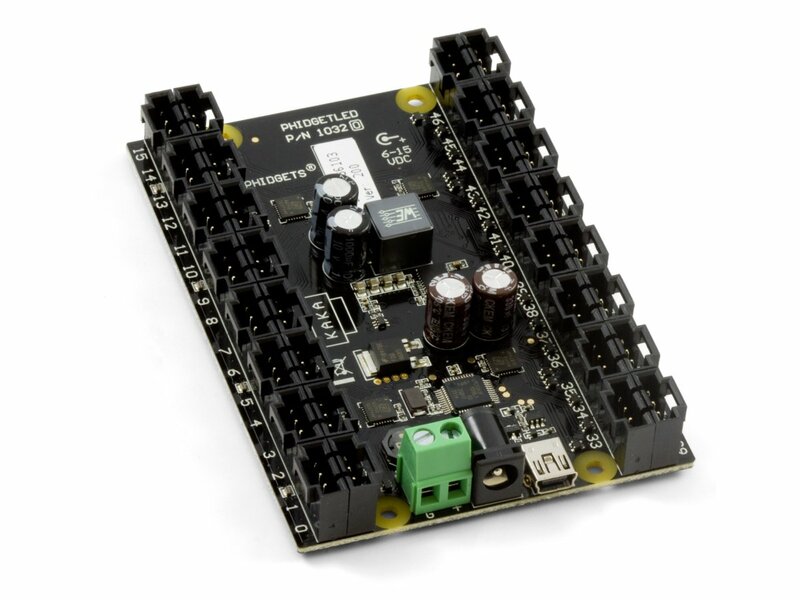 The PhidgetLED 64 allows you to independently control 64 Light Emitting Diodes. Each LED can have the current limit set individually, and the brightness controlled from 0 to 100% within that limit using current control. 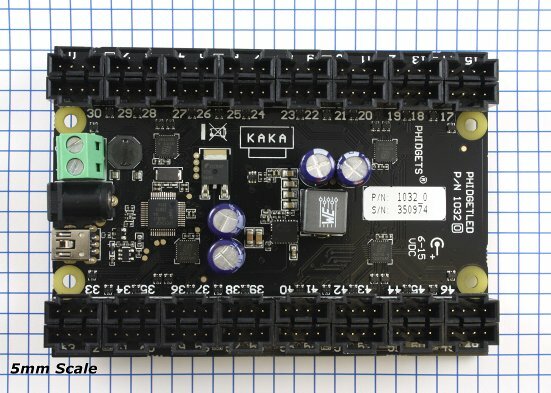 These LED outputs can also be used to interface other devices that benefit from current control (such as buzzers, fans, and other small, simple electronics). Connect LEDs to the LED cables. Connect the red wire to the positive side and the black wire to the negative side. Plug the power supply into the barrel jack (or if your supply has no jack, screw the loose leads into the green terminal block- The ground wire in the "G" side and the positive wire in the "+" side). Now that you have everything together, let's start using the 1032! In order to demonstrate the functionality of the 1032, the Phidget Control Panel running on a Windows machine will be used. Linux users can follow the getting started with Linux guide and continue reading here for more information about the 1032. The 1032 uses four controller chips that allow you to vary the current and voltage supplied to each channel. It uses pulse-width modulation to vary the brightness of each LED. 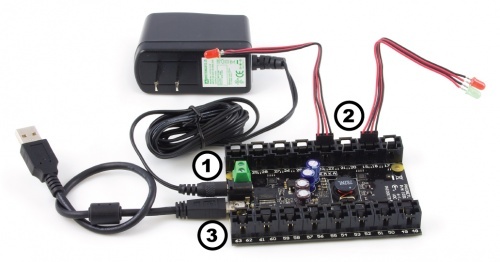 You can have multiple LEDs hooked up to a single channel on the 1032, (for example, a short string of LEDs) to reduce the amount of wiring, although keep in mind that you'll lose control of the individual lights, and can only toggle or dim the entire string. When using multiple LEDs on a single channel, you'll need to increase the voltage limit for that channel. If the LEDs are too dim at the maximum voltage, you should spread them out to other channels. 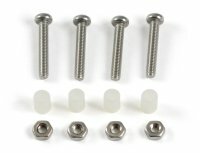 The connector used on the 1032 LED board is a Molex 70543-0003. The mating connector used on our LED cables is the Molex 50-57-9404. Projects that require a high supply voltage, or have a lot of heat being produced from over voltage settings, will have temperature problems. This can be mitigated somewhat by understanding how channels are grouped and how the heat is distributed around the controller. On the 1032 channels are split into four groups: (0-7,24-31), (8-23), (32-39, 56-63) and (40-55); each controlled by their own individual IC. Evenly distributing the LEDs that may produce a lot of heat across these groups will balance the load on the ICs and reduce the risk of thermal overload. When thermal overload occurs, the integrated circuit (IC) controlling the involved LEDs will disable the output of all the channels it controls. For example, if thermal overload occurs due to channel 12, all of the channels 8 through 23 will be disabled by the IC until the temperature back within the operating range. Thermal protection is activated when the die of the IC reaches approximately 160 degrees Celsius. Once the thermal overload has been corrected (i.e. the IC has cooled down), the output channels will be re-enabled with the same settings as before the thermal shutdown. An error message will be produced during thermal overload. 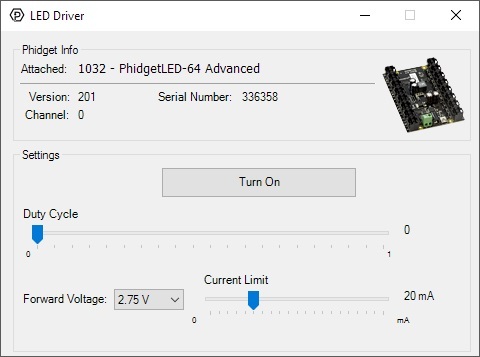 The 1032 - PhidgetLED-64 replaced our previous LED controller, the 1031 - PhidgetLED-64. 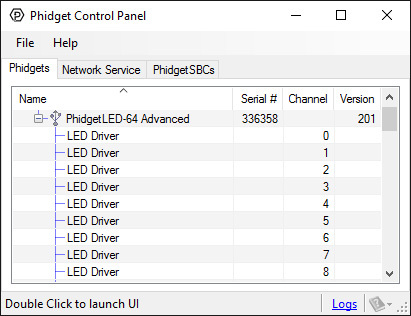 The following Phidgets all have digital outputs, which can be used to control LEDs, but lack some of the extra features of our LED interfaces (dimming, voltage control, current control).